Work rest or play youll be needing one of these! 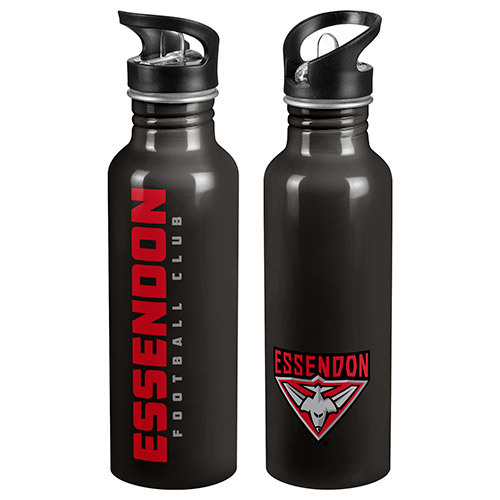 The perfect drink bottle for school, work, or the gym - keep hydrated with your Essendon Bombers Aluminium Drink Bottle. Features the club logo and colours on the sturdy aluminium 750mL bottle, and has a plastic sipper bottle top with a removable lid. Great gift for the young or older Bombers supporter. Got this for our son’s 8th b’day - good quality bottle with drinking straw. Son loves taking this to school.